The Hungarian Kennel Club was established in 1899. During our long history we proved to the doggy world that our country can represent steady number of breeders known and acknowledged worldwide. We always take part in the flow of international events. 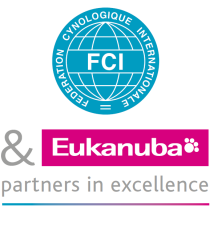 Hungary hosted the very first FCI World Dog Show and International Greyhound race in 1971. The FCI General Committee had many worldwide known Hungarian board members like Dr Tibor Bródy and Dr Pál Sárkány, who was the President of the FCI. Currently, Dr Tamás Jakkel has the opportunity to work on the high level of cynologycal politics.